The PATCO strike's influence still resonates. I was a guest on the Diane Rehm Show today on National Public Radio. 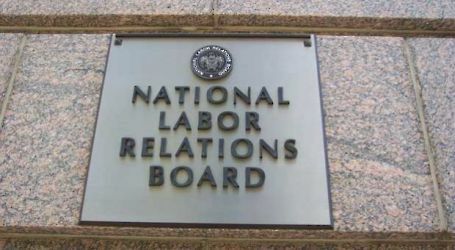 The subject was the recent controversy concerning Republican efforts to block President Obama's appointments to the National Labor Relations Board (which was resolved two days ago by a compromise in the Senate). I shared the studio with Lynn Rhinehart of the AFL-CIO and James Sherk of the Heritage Foundation. 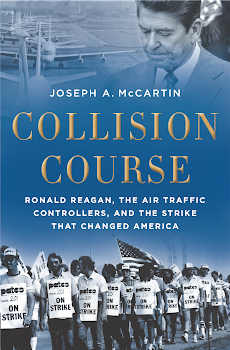 (federal workers are outside of its purview) and despite the fact that it occurred over 30 years ago, among the things we talked about today was the way that strike helped lead to the polarization that now afflicts the U.S. labor relations. It is getting harder to recall a time when workers' rights to collectively bargain enjoyed a good measure of bipartisan support. Today the partisan divide on that issue seems wider than it's ever been. You can listen to the show at the link here.